This year Delta Air Lines marks 30 years of service in Mexico, where it is celebrating by implementing the recently announced Joint Cooperation Agreement (JCA) with alliance partner Aeromexico. The JCA has enabled the two carriers to offer over 160 daily flights between the United States and Mexico, with service to 36 U.S. gateways, providing travelers a robust network, loyalty benefits and access to travel technology and products that enhance their experience every step of their journey. Aeromexico is an integral part of Delta's success in Mexico, and their relationship is one of Delta's pillars for success in Latin America and the Caribbean. This past year, Delta and Aeromexico carried over 7 million customers to and from Mexico—enough people to fill the Azteca stadium in Mexico City 80 times over. "Thanks to the dedication of our Delta employees, we have succeeded in Mexico for 30 years," said Nicolas Ferri, Delta's Vice President - Mexico and Aeromexico-Delta Joint Business. "Now, we are combining the best of Delta with the best of Aeromexico to lead the transborder market and deepen our commitment to Mexico. The JCA implementation is on track, and our mission is to deliver convenient connections and offer more routes and destinations while providing customers the same great experience whether they are traveling on Delta or on Aeromexico." Customers can also expect enhanced flight offerings as the JCA expands its presence, including a new service to Mexico City from Portland and Seattle, new flights to Merida and Queretaro from Atlanta and Delta's re-entry into the Los Angeles-Mexico City market, increasing to 7 daily flights in the top transborder market thanks to the JCA. "We are proud of Delta's market achievements and our role in contributing to this success," said Anko van der Werff, Aeromexico's Chief Revenue Officer. "We could not be more pleased to have Delta as a partner for years to come. We have a lot of work ahead of us to deliver our customers the best of each other, but we are committed to succeeding together." Delta has been investing in customer experience for several years, keeping its travelers at the center of its service goals. Delta refined its onboard premium dining experience in Mexico with a chef-created menu, using local ingredients to appeal to Mexican travelers' preferences. Customers flying in Delta Comfort+, Delta's premium economy service, can enjoy priority boarding and assigned luggage space for their carry-on bags. Other product initiatives being rolled out across Delta's international fleet include the expansion of its Wi-Fi service and its free onboard entertainment system via Delta Studio. Through the Delta-Aeromexico JCA, the airlines now offer the Mexican market flights to the United States through Delta's hubs in Atlanta, Detroit, Los Angeles, Minneapolis-St. Paul, New York, Salt Lake City and Seattle. Meanwhile, Aeromexico offers greater access to Mexico through its hubs in Mexico City, Monterrey and Guadalajara. In 1994, Delta and Aeromexico signed a commercial cooperation agreement, and in 2000, they became the founding partners of the SkyTeam Alliance. In 2006, both airlines jointly signed the maintenance services agreement (MRO in Guadalajara). During 2011, Delta invested $65 million in Aeromexico (4.17 percent of shares). Delta also has a joint venture with Air France-KLM and Alitalia in Mexico, operating three ticket sales offices in Mexico's three main business centers: Mexico City, Guadalajara and Monterrey. The Delta, Air France-KLM and Alitalia joint venture is the most advanced model for successful international airline cooperation in the world today, providing vast benefits in Mexico for both consumers and business. Over the last 30 years, Delta has demonstrated its strong commitment to Mexico, seeking to grow with the country by partnering with international and local organizations to implement social programs and campaigns with a positive impact on the community. Some of the most important initiatives Delta has and will continue to implement include the Habitat for Humanity housing construction for the community of Chulavista, Mexico; the "Breast Cancer One" flight from New York to Mexico City, carrying survivors of the disease; and several initiatives to promote training young professionals. Seeking to be closer to one of the biggest passions of its Mexican and U.S. clients, May 3 Delta announced its official sponsorship of Mexican National Soccer Team in conjunction with Aeromexico. "Our success and years of service in Mexico come down to several key things," said Carlos E. Hernandez, Delta's Director for Mexico. 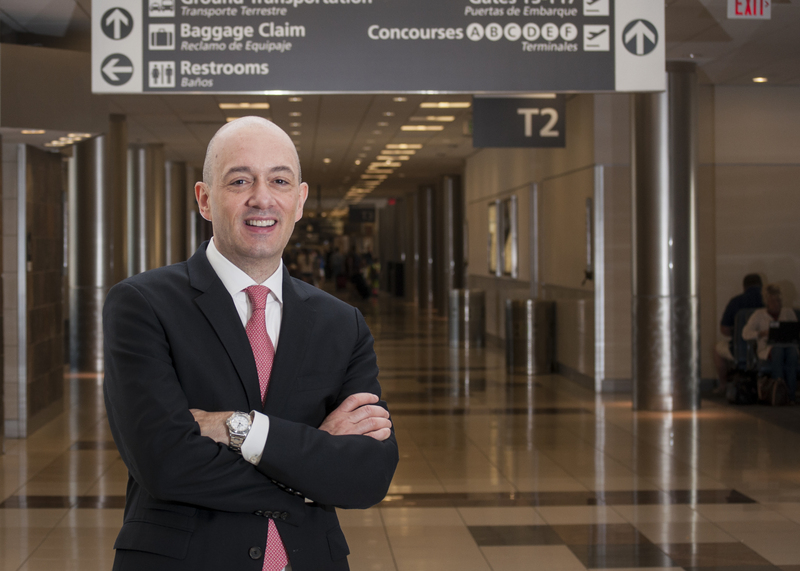 "We saw the growth potential early, so we associated with the best local partner to make Mexico-U.S. connections easier and improve the onboard experience more than ever before. We see a future full of opportunities in Mexico, thanks to our customers' preference and the Delta people that make the difference through each day of service."